Peter F. Drucker’s Adventures of a Bystander is more a history of his times than an autobiography. Drucker says, “Bystanders have no history of their own. They are on the stage but are not part of the action. They are not even audience. The book uses the sequences of my life mainly for the order of its dramatis personae.” And what a dramatis personae it was. His grandmother and parents, friends Hemme and Genia who were like surrogate parents to him, more formally known as Dr. Hermann Schwarzwald and Dr. Eugenia Schwarzwald, Hemme was Austria’s minister of finance during the First World War and was succeeded by Joseph Schumpeter. There are wonderful chapters on Freud, Karl Polanyi, Henry Luce, Buckminster Fuller, Marshall McLuhan and Alfred Sloan in Drucker’s book. Genia ran a literary and cultural salon which was very popular. The star was Annette, the daughter of an Austrian field marshal. She was the first Austrian woman to take up economics at a time when the Austrian School of Economics was dominated by greats like Wieser, Boehm-Bawerk and Philipovich. 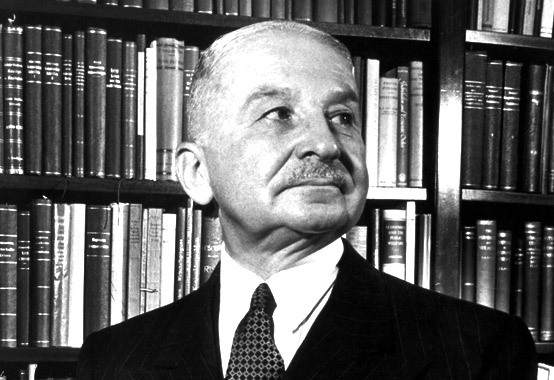 Ludwig von Mises was Annette’s classmate but Annette was the superstar. Many years later Mises, who had become famous met Drucker and said that had Annette been a man and encouraged to pursue economics, she would have been the greatest economist since Ricardo!